It’s never to late to whip up some festive desserts and this year is no different. Kirsten Tibballs has released a Christmas special to YouTube to show you how to create this very cute and festive sleigh. These mini petit gateaux cakes are full of chocolate and uplifted with a hint of fresh raspberry. Watch here. Subscribe to the Kirsten Tibballs YouTube channel for this recipe and even more over the coming months! This entry was posted in Christmas, Christmas, Classes and tagged baking and pastry, baking school, cake, chocolate, christmas, culinary schools, kirsten tibballs, online cooking classes, Petit Gateaux, savour, sleigh on December 19, 2018 by admin. World Champion Jordi Bordas joins Savour Online Classes as a guest chef to give you the recipes and show you the techniques for replicating two of his amazing creations. In 2011, Jordi won the Coupe de Monde in Lyon (with Julien Alvarez). He has his own school in Barcelona and has developed B·Concept – taking classic recipes and making them healthier, whilst maintaining flavour and texture. A delicious gluten free and lactose free entremet with the main flavours being coconut and passionfruit. 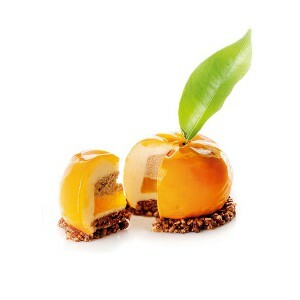 Learn how to create the Mandarina Petit Gateaux as seen on MasterChef España. The contestants on Masterchef were only given 2 hours to complete the task, fortunately you have all the time in the world! Jordi Bordas will be teaching classes at his school in English from 2017. You can follow Jordi on Instagram. This entry was posted in Uncategorized and tagged baking school, becoming a chef, best chocolate, cooking classes, cooking classes melbourne, cooking course, cooking courses, cooking school, courses online, culinary art school, culinary arts, culinary colleges, culinary schools, how to become a chef, jordi bordas, pastry chef, pastry courses, savour chocolate, savour chocolate and patisserie school, savour online classes, savour school, top culinary schools on July 12, 2016 by SavourSchool. Copyright on Products: Where do we draw the line? With the increased ability of reaching our target audience via social media, businesses, bakers and chefs have ongoing pressure to continually post exceptional images. Not many chefs or businesses are in the position to either pay for a professional photographer or have the variety of product to enable them to post regularly. This has led to some individuals posting images of other people’s product without prior consent or acknowledgment of the original creator. There are copyright laws pertaining to work created. Social media sites also have their own guidelines on copyright. What is copyright? A work of authorship includes literary, written, dramatic, artistic, musical and other certain types of works which can include cakes, baked goods, desserts etc… Copyright exists as soon as the product is created and it applies to published and non-published works. As soon as you put down your palette knife, click the shutter on your camera, or hit the home button on your smart phone you have got a copyright (with some exceptions). Copyright also covers photography and that means that in relation to an artistic work, copying includes the making of a copy of a photograph in two dimensions or a three-dimensional work. This is a grey area as to what qualifies as artistic work. So if you see an image of a product it may be protected by copyright which should stop you recreating it. Copyright is automatic and does not require you to file any paper work as is the case for trademarks and patents. 4. Distribute copies of copyrighted work to the public by sale, rental and or display the image. There is an exception called Fair Use, this allows the public to use portions of copyrighted work without permission from the owner. Copyright of food products is much more prevalent in countries such as USA who are renowned for their litigation. A good example of this is Dominique Ansel’s Cronut. 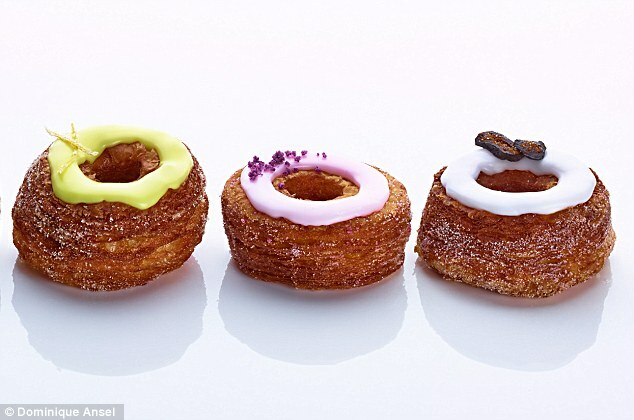 United States Patent and Trademark Office records reveal that “Cronut” is now a registered trademark. Dominique Ansel filed the paperwork for the croissant-doughnut hybrid shortly after its public debut in May 2013, but the trademark was not registered until 2014. After Dominique announced his trademark plans for the Cronut last year, his decision was met with some hostility from other businesses. At the time, the bakery took to Facebook to explain the decision. “Our desire to protect the name is not an attempt to claim or take credit for all cooking methods associated with the recipe or all croissant and doughnut products in general. Instead it offers bakery and chef protection against un-granted affiliations with the bakery or confusion with customers”. I think if you are using someone else’s image you should always request consent before you proceed, if you replicate a product that you have seen as an image of you should credit the original creator. Always be inspired by others work and when creating your own productions do it in your own style. If people replicate or copy your work it forces you to create a new concept or product and keep evolving as a professional. This entry was posted in News and tagged becoming a chef, callebaut, callebaut chocolate, chocolate, cooking classes, cooking classes melbourne, cooking course, cooking courses, cooking school, copyright, culinary art school, culinary schools, pastry school, savour chocolate and patisserie school, savour school, top culinary schools on December 1, 2015 by Kirsten Tibballs.